The opening round of the 2011 World Touring Car Championship will take place at Interlagos, replacing the circuit where the championship has raced since 2006. The Interlagos track, which is also a regular on the Formula 1 calendar will see the World Touring Car Championship open the 2011 season on March 20th. 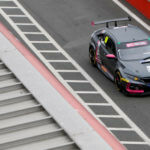 The WTCC was set to compete together with the Brazilian Stock Car series at Curitiba, but now both events will be moved to the Sao Paulo circuit instead, reports Autosport. With BMW’s withdrawal of its works team, at present there is no Brazilian driver scheduled to appear at the circuit, although Cacá Bueno has indicated he me appear for selected events hopefully for Chevrolet. Bueno will of course already be at the track racing for Red Bull Racing in a Peugeot 307 in the Brazilian Stock Car series.